Curious about the new iPad? Let the editors at Macworld help you learn everything you need to know about it with our third-generation iPad Superguide, now available in ebook, PDF, and CD form. This in-depth Superguide covers everything you need know about your iPad’s hardware and software, including the latest on iOS 5. We also highlight and recommend some great apps and accessories to get you started. We provide step-by-step instructions for getting acquainted with your new iPad. Familiarize yourself with every port, button, and switch on your device, and start the setup process. Customize your settings by enabling parental controls, changing the behavior of your iPad’s side-switch, and (if you have an LTE-enabled iPad) creating a data plan. Learn about the many multitouch gestures you’ll be using to open, close, zoom, and swipe on the 9.7-inch LED-backlit screen. Communicate with others using Mail, Safari, Messages, and FaceTime. In addition, we’ll show you how to sync and load all your favorite music, movies, television shows, podcasts, apps, and files using iTunes; how to convert most any file to work on the iPad; and how to stream your media to a television or other source using AirPlay. Organize your life using the iPad’s built-in Calendar, Notes, Reminders, and Contacts apps, and get the best recommendations for third-party apps to help increase productivity. Discover how to get work done on the iPad using iWork, Google Docs, and Microsoft Office files. 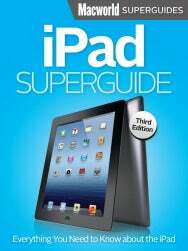 Our third edition of the iPad Superguide has been optimized for the third-generation iPad's Retina display. Even without a tech support background, it’s easy to troubleshoot most simple problems on the iPad. In our Troubleshooting Tips chapter, we give a rundown of common questions plaguing users and the easiest ways to fix them. We’ll also share some simple tricks to keep your device up and running, and suggestions for when you need to consult with the experts. 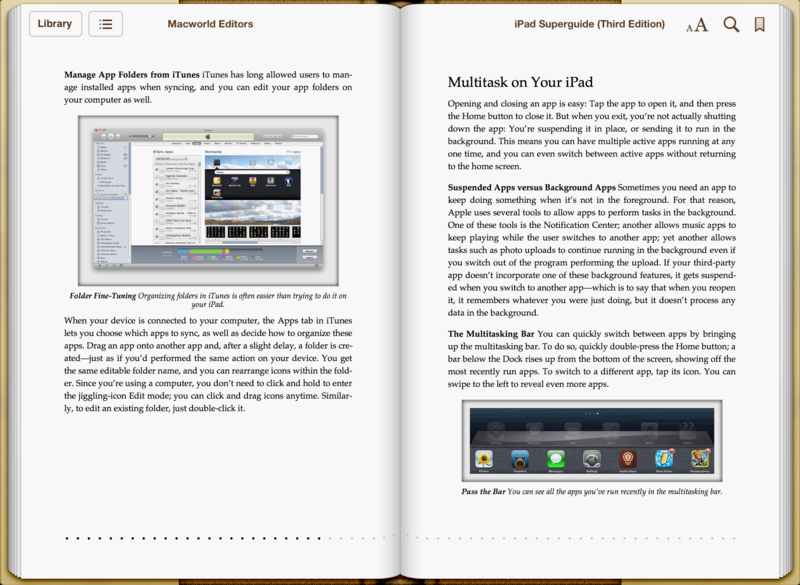 You can read our iPad Superguide right away on an iOS device by purchasing it from Apple’s iBookstore for $9.99. If you prefer reading on a Kindle or Nook, we also have the book available on the Kindle Store and Nook Bookstore for the same price. If you’d like to read the book on your Mac, consider a full color PDF of the Superguide; you can also cover all your bases and have a copy of each version for each of your devices with our ebook and PDF bundle or CD version. We hope you have fun getting to know your new iPad. If you want to learn more about your other Apple devices, make sure to check out our available Superguides including our iPhone 4S Superguide and our Total Lion Superguide. For those who want to be savvy iOS users, our iPad-exclusive ebook 12 Things Every iPhone and iPad User Should Know has you covered.